Metromont was founded in 1925, by Captain J. Roy Pennell, to build roads and bridges in South Carolina. Since that time, the business has transitioned into the precast industry, providing precast concrete for everything from schools, office buildings and parking decks to industrial plants and stadiums. The company has completed more than 50 stadiums, including seven for the NFL, 15 sports arenas and more than 1,000 parking decks. While the business remains family-owned, it has expanded greatly, now operating six manufacturing facilities in South Carolina, North Carolina, Georgia, Florida and Virginia. 1. An inefficient, overly-complicated estimating and sales process. Metromont’s basic estimating and sales process had three steps. First, the sales person had to enter project information and scope of work in to a specialized software—Program X—to get the process started. Then, the estimator manually entered the same information into two separate programs to determine the cost: Microsoft Excel and an off-the-shelf estimating program. Excel was used to enter particular project details to create a takeoff. Then this data set, along with the information provided by the sales person through Program X, was entered in an off-the-shelf estimating program. The estimator then had to manipulate this program to generate an overall project estimate. Finally, both the individual takeoffs and the project estimates were manually entered into Program X, which kept track of all estimates and created proposals for the sales team. 2. No automatic updates or transparency across sites. When Metromont first started using their original software systems, they had two plants. Now, they have six plants and estimators in Greenville, Charlotte, and Atlanta. In order to update their data and takeoffs, they had to update it at their headquarters in Greenville first, then copy the information to each site. Since the estimating software was slow and cumbersome over the network, their estimators and sales team couldn’t look at information from other plant locations. Most complex solutions begin as simple solutions. As Metromont grew and wanted to standardize their processes they had to work within the confines of products that didn’t really fit anybody. 3. High chance for human error. Since Metromont’s estimators and sales representatives had to manually enter information up to three times, and since they couldn’t see updates from other locations in real-time, their system created a lot of opportunity for costly human error. Ultimately, the inefficient process created unnecessary back-and-forth between departments. “This process would have been a ton of work if the projects were priced just once,” said Tony. “But that wasn’t usually the case. Within the design-build trend there are lots of changes. So, customers would come to us with these shopping lists of requests. What if we do this but not that? How much would it cost to do these eight additional things? So we had to go back to the estimator, back to the sales representative, creating all kinds of document management problems.” “And this was all before we’d even made the sale,” added Angie Ruth, Estimator at Metromont. Due to all these problems, Tony and his team spent a year looking at all of the off-the-shelf estimating software available that could potentially do precast. However, they were unable to find a solution that met all of their needs. After their year-long search for the perfect software solution, Metromont reached out to Kopis for help. When Metromont reached out to Kopis, we first spent a couple weeks with the client to understand their business and to create a fluid process and workflow that would be able to change and adapt as we learned more. Next, Kopis and Metromont kicked off the Agile process by collaborating on the highest priority interface designs. The project became even more interesting as we dove further into their business and the opportunity to release this as a product to their peer group became more apparent. With a project length of over a year long, the agile process was essential to preventing Metromont ending up where their business processes were when they started the project. With sprints of two weeks and demos almost weekly, Metromont was able to make small adjustments over the course of the project that made a huge impact when they launched the product. In addition to merging the three aging software solutions that Metromont was using into one streamlined, modern software product that mimicked the natural workflow of the precast concrete industry, Kopis was able to make other recommendations. For example, Kopis was able to create additional reports that combined multiple data sources outside of Precast Evolution. Kopis was also able to advise on a document management solution for their new process documentation using tools they already owned. Metromont wanted to launch a complete software product that would work equally well for estimators and sales representatives at Metromont as well as within their peer group, that would give everyone on the team easier access to the correct information, and that would provide real-time updates to multiple locations. 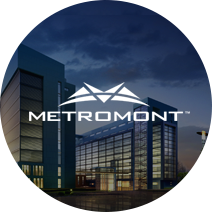 Metromont also needed a software that would accurately and completely relay the sold information to project management, engineering and accounting. This is precisely what Kopis delivered—a product that Metromont can use internally and market to other, non-competing companies in their industry. Metromont is looking forward to launching the product for their first peer group customer at the beginning of the new year. Internally, the custom software solution we built has been in use at Metromont for almost a year now, and the project team has seen both some expected and some surprising results. With easier access to information, and access to the correct information, the sales team has been able to produce more accurate proposals. One problem that Metromont had been running into before launching their product was the sales team quoting something that wasn’t included in the project estimate any longer—and then being on the hook for it, costing the company money. A few of the other expected results include more transparency, estimators who feel empowered and more confident in their job, greater productivity, and greater efficiency, especially as the estimating department is a service provider for other departments such as sales, plant managers, and accounting. Slow estimates slow down the entire company. Their new software product also provided some intangibles, such as boosting employee morale by eliminating the frustration of multiple entries. After this initial year, Metromont has discovered several benefits of the software that they weren’t expecting. Since the interface design walks the estimators through the right questions in the right order, it provides a level of comfort that nothing has been forgotten. Their estimates have become more consistent internally. This results in fewer delays due to sick days or vacations, as estimators can easily step in for each other and share work, which wasn’t possible before. Finally, the real-time access to information has made the employees, especially the estimators, better at their jobs since they are able to see the full process in one glance rather than just their discrete piece of the puzzle.